A US hip hop artist has invited the Prime Minister to talk politics with him at an R&B event when he visits Australia later this year after the musician’s song was used in a controversial tweet. Fatman Scoop responded overnight after his 2001 hit Be Faithful was used as the soundtrack to a tweet from Prime Minister Scott Morrison’s office, which was later taken down. In the tweet the PM’s office mixed vision from Question Time of members raising their hands in unison to lyrics like: “You got a 100 dollar bill put your hands up. You got a 50 dollar bill put your hands up”. “It’s a humbling experience to be recognised by a high official [either Scott or his people thought of me],” he wrote. He went on to say that as an American he had to be apolitical and didn’t know about Australian politics. Scoop was curious about why the song was taken down and said he had been told it was because of its explicit lyrics. “My man @bboyjimo said because there was CURSING in the song and he has to be Politically Correct,” he wrote. He continued to make full use of caps lock to show he was also puzzled by the outrage at the lyrics. “People! Its a fun PARTY SONG that has no NEGATIVITY or HARM in it,” he wrote. The Prime Minister’s post breached Parliament’s strict rules about video use and will spark a wider crackdown after incurring the wrath of the Parliament’s enforcer, Serjeant-at-Arms James Catchpole. “Broadcast material may not be digitally manipulated for rebroadcast,” he said. Scoop, who is somewhat past his musical peak, also questioned the choice of his 17-year-old song as a method to connect with younger people. “When my song was really ROCKING Scott was probably in the CLUBS! Hahahahaha,” he wrote. He invited the PM to come to an R&B Fridays concert in November as his personal guest “to watch, dance, and after in the backstage area discuss politics with me”. Mr Morrison had said his post was a “bit of fun”, and that it was not a song on his personal playlist. “I think Tina Arena would get a good go, I saw her in Evita last night … she was outstanding,” Mr Morrison said. “We’re just trying to connect honestly with people, and some of the narcs will get a bit worked up about this sort of thing. Speculation is rife as to why the video was posted to social media, with some suggesting it could have been designed to grab attention for a newly minted Prime Minister seeking to carve out an image, or possibly distract the public from other goings-on within the Liberal Party. 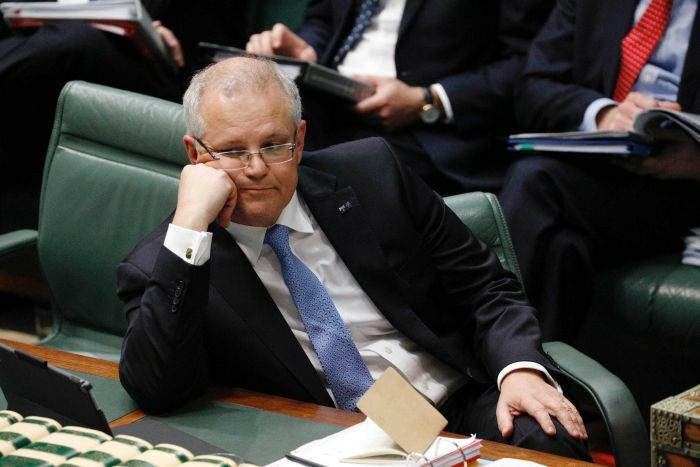 But the incident also raises questions about the experience of staff in Mr Morrison’s office, and more broadly the toll on ministerial offices during leadership challenges. Staff lose their jobs as soon as their bosses are given new portfolios or resign, meaning there can be significant shortages in skills and experience.